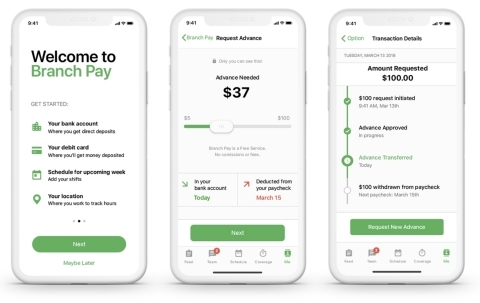 MINNEAPOLIS--(BUSINESS WIRE)--Branch Messenger (Branch), the world’s most seamless workforce management (WFM) application that offers artificially intelligent scheduling and shift flexibility, today announced the launch of Branch Pay, real-time earnings technology that is directly connected to an employee’s schedule, making Branch the industry’s only WFM platform which gives hourly workers instant access to earnings after each shift. By transforming the antiquated and inefficient payroll process, Branch continues its mission to reshape the future of work. Branch Pay is available today for early access to all hourly workers in the U.S. The announcement was made at the Mobile World Congress Americas conference in Los Angeles. Branch Pay provides powerful incentives for both the enterprise and the employee. For enterprises, Branch Pay’s easy to use platform helps attract and retain talent when employee turnover costs U.S. companies more than $160 billion per year. For the employee, it provides financial freedom and flexibility against the two-week pay period that can add severe financial stress. According to 2018 Branch user data, there is a dire need for cashflow: 70 percent of hourly employees had borrowed money from friends and family in the last three months and more than 75 percent were incurring hefty overdraft and late fees to help deal with unexpected expenses. A Fortune 1000 favorite since its founding, Branch has been adopted by hundreds of thousands of employees working at major companies such as Target, Life Time, and Unilever. Branch’s WFM platform is currently being used at thousands of locations nationwide by top retail, restaurants, and manufacturing facilities, a combination of industries that employs nearly 60 percent of the American workforce. Branch’s new technology will allow workers to tap into earnings at a cadence dictated by the number of hours worked in a given pay period. Requiring no integration with a company’s existing payroll system, the employee simply opts into Branch Pay after downloading the Branch application and connecting their bank account. Branch Pay has been highly anticipated by the tens of thousands of employees who are on its waitlist. Branch is also working with selected enterprise partners on deployments in advance of the seasonal holiday hiring surge. Branch is the only workforce management application that provides large enterprises with the ability to attract and retain the best hourly employees, by giving them what they want — schedule predictability, shift flexibility, and, with Branch Pay, the ability to withdraw earnings instantly after each shift. Hundreds of thousands of hourly employees at Fortune 1000 enterprises use Branch every day. Branch Messenger is available for iOS and Android users. 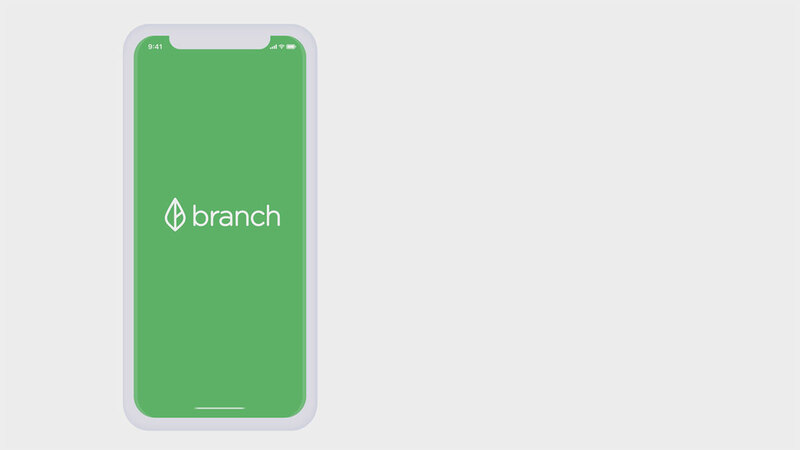 To learn more about Branch, please visit branchmessenger.com and follow us on Twitter, Facebook, and LinkedIn. Branch Messenger launches Branch Pay to give hourly employees instant access to earnings.